It has been a wild ride over the last four years, and we are stronger than ever. This year is looking to be the best yet! Our “tEEm” is growing, the plugin is more solid than ever, and 2013 is forecasted to be a rocking year for WordPress. 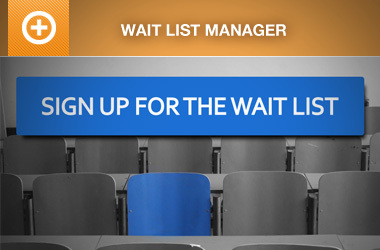 We want to thank YOU, our loyal customers for helping us remain the premiere event registration plugin for WordPress. We would also like to thank the WordPress community as a whole for being such an awesome community to allow us to do what we love; and that is to help you make your events a huge success. 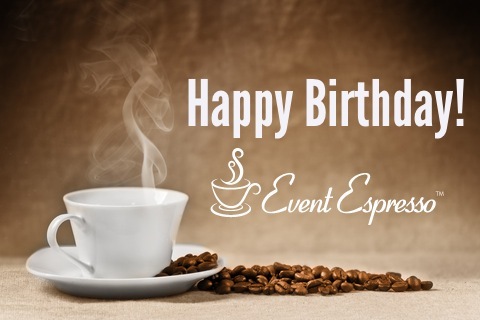 To celebrate Event Espresso’s birthday, we are offering a 20% discount on all license packages, as well as add-ons. Just use the code HAPPYBIRTHDAY at checkout to celebrate with us! We hope 2013 has been, and will continue to be, your best year yet! What are you waiting for? Let the festivities begin! 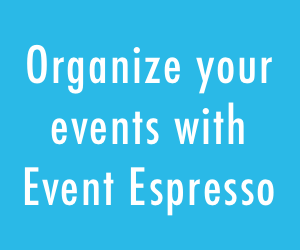 Click here to purchase Event Espresso using the 20% off discount code. Darn it – I missed the birthday celebrations by a couple of days – I bought the Custom Files Add-on over the weekend (Saturday 13th) – any chance of a refund? Hi WIll. We can’t offer refunds on purchases before promotions, but we can extend your support license by an extra month. Our current license goes through August. If I take advantage of this offer, will my license extend to August 2014? If you renew now, you will get an additional 12 months added to your existing license. My license expires in November – if I renew now using the birthday discount, will you pro-rate me? If you renew now, you will get an additional 12 months added to your license. I just want to make sure, is today the last day for the extra 20% off HAPPYBIRTHDAY promo code? Yes. The offer ends tonight. I’m trying to purchase an addon with the HAPPYBIRTHDAY code that expires tonight. It tells me it is already expired? 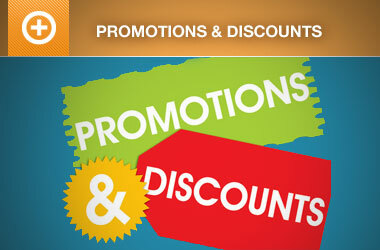 How can I get the 20% discount today, April 30th, 7:30pm PDT? We had an incorrect date setting on the discount code so it was causing this problem. Please try the code again. We’ll be standing by if you have any problems again. I am trying to buy the Business license package but it is not applying the 20% code. Also, I’m wondering what the basic install with configuration does for $65? We’ve had an incorrect date/time setting for the discount code but it should work for you now. The basic install and configuration is a service where we install the plugins and setup the initial configurations for the add-ons (e.g. your merchant account, the ticketing add-on, etc.) for the plugins/add-ons you want installed. We’ll need credentials to install these files for you after you purchase that service. Does that help? Please try the code again and let us know if you have any other questions. Thanks Garth. I did get the coupon to work this time. I do have another question, actually – just before I hit the pay button 🙂 – I want to use this for a conference website where there are a number of concurrent choices for attendees – in one morning, for instance, they could choose to attend one of three workshops, and then later in the morning there is a single event for all attendees. Can Event Espresso handle this complexity?